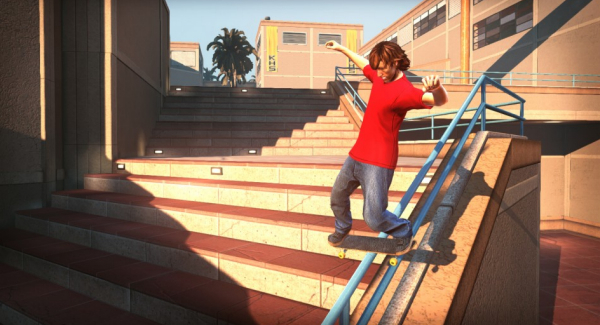 The Tony Hawk’s Pro Skater series marks some my favorite Video Game memories growing up. I clearly remember waking up in the hot, humid weather of Summer Break, picking up my PlayStation controller, and skating around endlessly for hours and hours. Those games just had that great arcade-like vibe to them which made them so much fun and enjoyable to play. Needless to say, when Tony Hawk’s Pro Skater HD was announced, I was pretty excited. I mean the thought of having a HD version of the content from Tony Hawk’s Pro Skater 1 &2 was something that got fans of the series anxiously waiting. But was Tony Hawk’s Pro Skater HD able to replicate that amazing feeling I felt way back then? Tony Hawk’s Pro Skater HD takes seven stages from the first two entries in franchise and recreates them in High Definition. This is not a mere HD re-mastered version of the first two games, but rather the physics and graphics of the game have been completely rebuilt by developer Robomodo from the ground up. While having the game run on a new engine makes it look quite good on the eye, the feeling of speed, momentum, and fluidity present within previous games in the series feels off. It takes time to accelerate, decelerate and break making the pacing of the game feel a lot slower than the originals. To add to that, the choice not to include “Revert”, a feature initially introduced in Tony Hawk Pro Skater 3, made combos a lot shorter and hence a lot less satisfying to pull off. The game doesn’t present you with a tutorial or introduction of any sorts but rather throws you right into the action. Even though I played my fair share of Tony Hawk games, the start was sluggish to say the least. The controls of the game took a while to get used to, and understanding the new physics engine was not a pleasant experience. However once that was out of the way, I found myself to be actually enjoying my time with the game. It’s really frustrating when a game forces you to go through an awkwardly rough start in order to finally have fun playing it. This could have been easily amended if a proper tutorial was present right from the start. 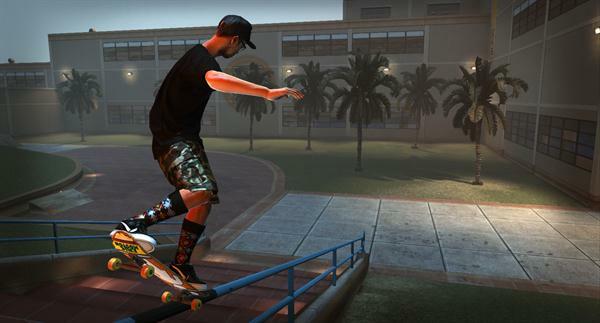 Tony Hawk’s Pro Skater HD offers three single-player modes: Career mode, Free Skate, and Big Head survival. You will be spending most of your time in Career mode, which has you play as one of 12 skaters across the various stages in the game. Each stage has a set of objectives which, once completed, gives you cash to upgrade your skater. Since there are only 7 stages in the entire game, you will be done with each quite quickly. However, because there are a lot of unlockables around, you will find yourself coming back to each of those stages in order to fully explore them. In addition to Career mode, Free Skate allows you to skate aimlessly around the game’s stages without worrying about any objectives. And finally, Big Head survival is the new entry to the series as it forces you to string together as many combos as possible to avoid having your head literally explode. This mode adds a new dynamic to the Tony Hawk formula as it constantly keeps you on your toes and can bring out the most fun out of the three modes available. The Soundtrack of the game consists of tracks from the first two games in the franchise. While not all tracks make it into this iteration, the most popular ones are present and sound just as good as they once did. A minor annoyance however is that you cannot change the track in game which is pretty silly since previous entries in the series had the feature available. Multiplayer is present in Tony Hawk's Pro Skater HD in the form of online multiplayer. Split-screen is sadly not included. Once you are online, you can choose to challenge players in Graffiti, Time Attack, Free Skate, and Big head elimination. Matchmaking can get a bit iffy at times, and there were some latency problems present while playing. However once you actually strike a good connection, there is plenty fun to be had playing with various skaters online. 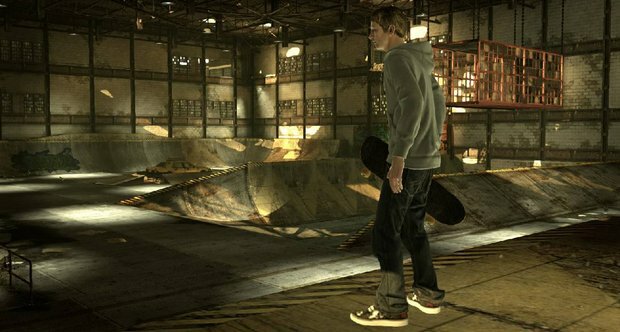 Tony Hawk’s Pro Skater HD is an entry which struggles to replicate the same magic that made the originals so special. While the game does borrow the stages and soundtracks from Tony Hawk’s Pro Skater 1 & 2, it ultimately suffers from several rough edges that simply don’t allow it to hit the high notes of its predecessors. Tony Hawk’s Pro Skater HD can still be fun if you plow through its awkward beginnings, but it ultimately does not reach the heights that the original games were able to achieve. Nice review. I played this game at my friends house. He was excited for it but I was not. I was not because I have played the original games recently. Playing those games later than 2003 and being older than 16 showed me a lot about how my taste matures. So yes, I agree the magic was not really captured. The things that made the series great seem not to exist anymore. Everything was so perfect.. the specials, the levels.. but now i just don't perceive games the same way. I found that my nostalgia was more quenched by playing Skate 3 but listening to the sound track from the original Tony Hawk Pro Skater games.. such good games.. such a very important part of my pre teen years.. Such a fun game when playing with friends. I remember finding the hidden indoors pool area by coincidence after having played thps2 for several months and being like WAAAAAAAT?